Here’s what I came up with first. My sister found some white fabric with stars on them so I cut that up to make up the sides of the quilt. I was wanting to make the whole thing 20 in x 20 in. I’m not very good at cutting straight, even with a ruler, so it turned out to be all different lengths. 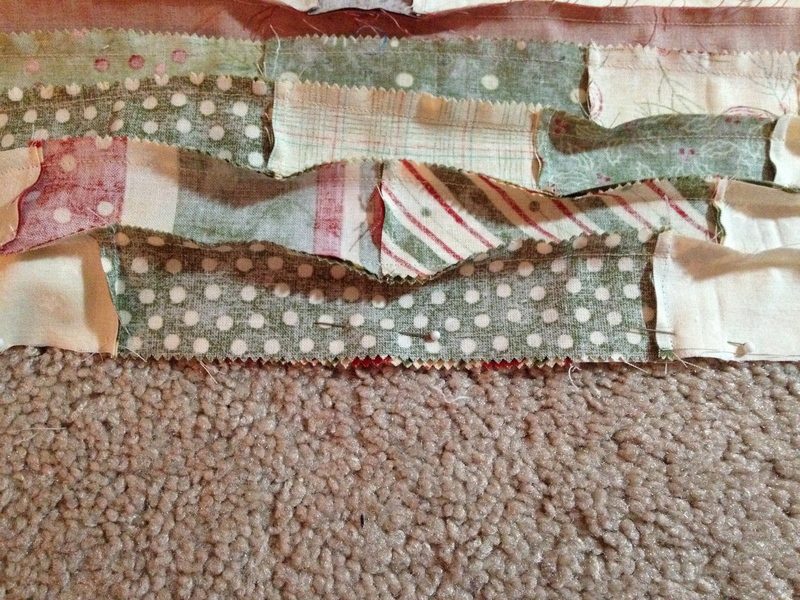 I pinned the edges face together, one strip at a time and then sewed them a quarter inch or less from the edge. Here’s the front of it before it was all the way finished. And here it is all sewn together and ironed. Today I cut the backing out from a pretty red print fabric. 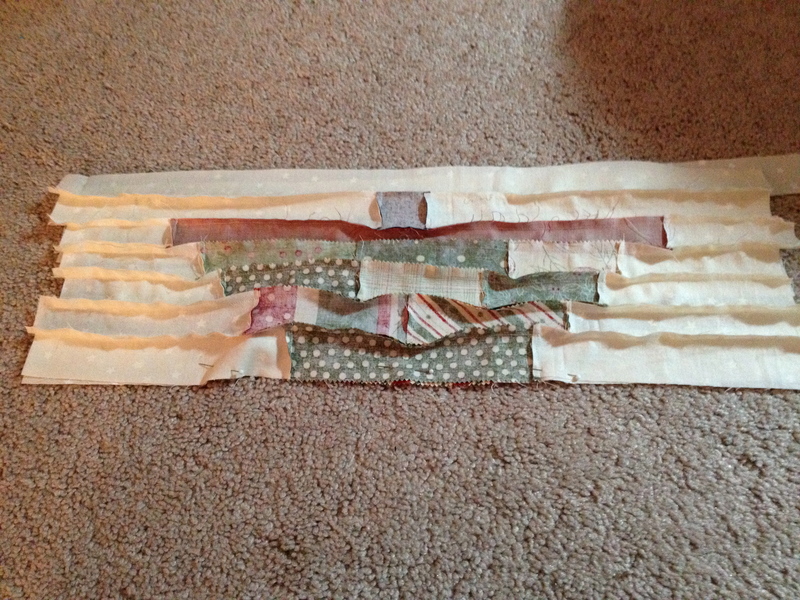 I had to sew together 3 pieces of batting for the middle and then I pinned them all together. I wanted to do the quilting, but I need my mom’s opinion on how to quilt it so I’ll wait to see what she thinks I should do. I was thinking lines going down the opposite direction of the pieces or the same direction. My sister, Rachelle suggested doing diagonal lines, but since I’m not a straight sewer they would look funky because my pieces aren’t all sewn the same size. UGH!! I’m a beginner, I need to cut myself some slack! 1. Malaya’s Dress & shirt Check! 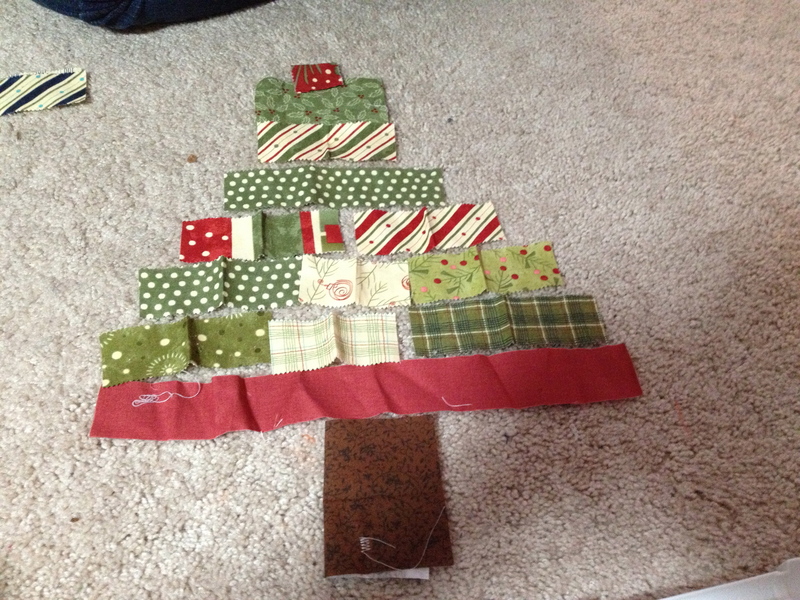 So, if I finish the tree quilt tomorrow and start on the Monkey bib that night I think I can knock that out by Saturday and start on my quilt. 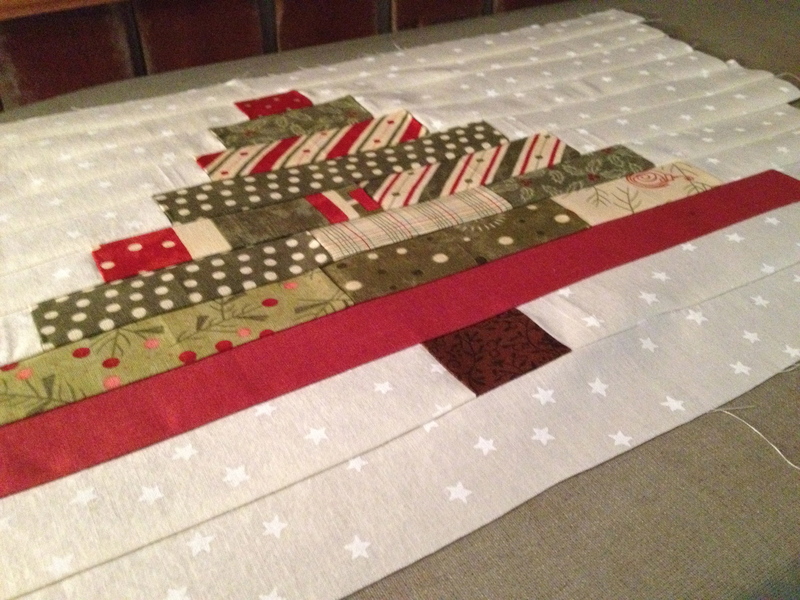 I’m really excited about my quilt!! 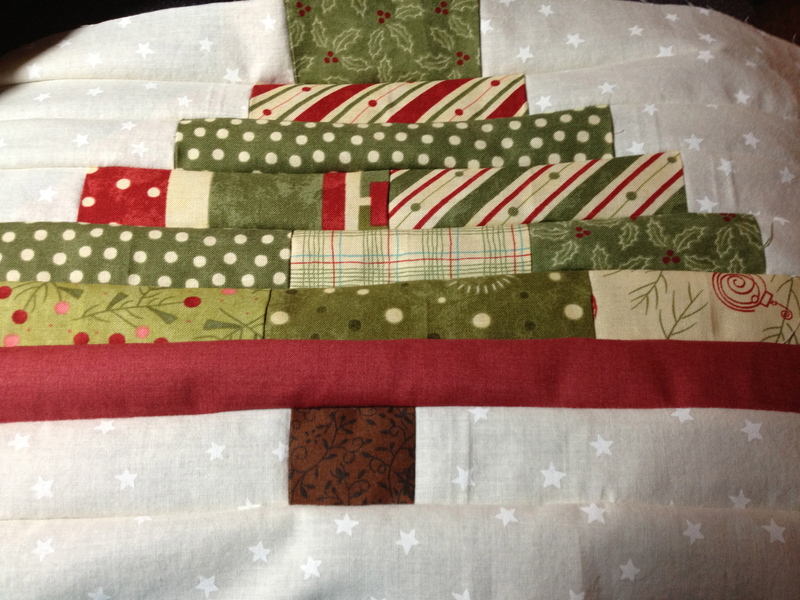 I’m going to use a jelly roll that my mom has already and cut out some extra strips from her scraps and do kind of the same thing as I am with this tree quilt, just bigger. I’m excited about it!! I LOVE the colors and fabric I’ve picked out!! That is so cute, Megs! I’m amazed at people who can quilt. I admire your ambition. 🙂 I cannot believe how the time has flown by this month! We’re excited to have you back soon! this is absolutely adorable, thanks for sharing it on my center of attention sunday link up! Super cute! Thanks for stopping by to link up for Functional Friday! That is darling! 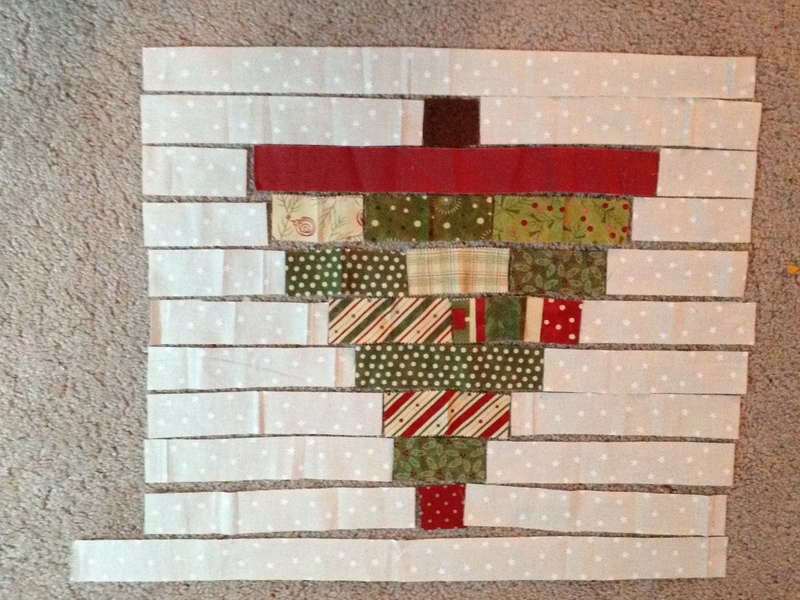 I’m pinning for next xmas … I can’t make a whole quilt, but perhaps a pillow or two inspired by your idea! Wow! 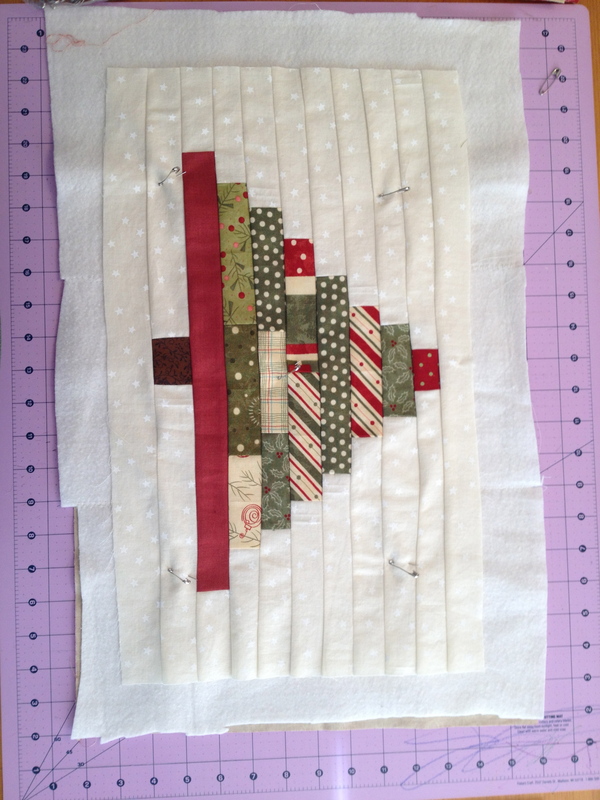 I’ve quilted before and can appreciate all the hard work! It’s so time consuming! It looks fabulous! This turned out beautifully! Thanks so much for sharing at Mom On Timeout! Well, you deserve the feature. I am now thinking of this as a christmas in J uly idea.